Dynamic Bundle, Other software dynamics processor from Sound Magic. 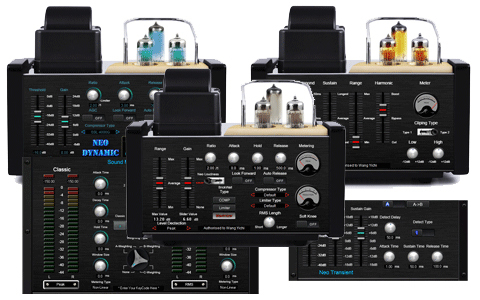 Sound Magic releases Dynamic Bundle, which contains 2 Neo Effect Unit to handle all dynamic processing. Dynamic Bundle currently includes Neo Dynamic and Neo Loudness, which features Compressors, Limiters and Maximizers. 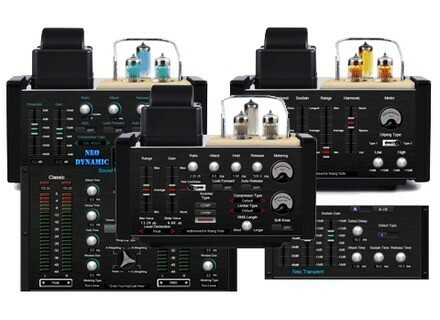 Neo Dynamic is a dynamic processor described as "more like a sampler than typical compressors and limiters." Neo Loudness is a tool designed to control loudness. Neo Loudness not only includes traditional compressors and limiters, and also features a new type of Maximizer. The bundle costs €99 and is available for Windows (as VST effect plug-ins). The individual plug-ins can also be bought separately: Neo Dynamic for €49 and Neo Loudness for €69. For more information, visit www.supremepiano.com/product/loudness.html or www.supremepiano.com/product/neodynamic.html. Toontrack EZkeys Upright Piano Toontrack has released EZkeys Upright Piano, a new plug-in sound library of a sampled Östlind & Almquist piano. Sample Logic Cinematic Guitars 2 Sample Logic has announced Cinematic Guitars 2, a new collection of some 1200 instruments and multis for Kontakt Player and Kontakt.